The $200 Radeon RX 480 is a wonderful graphics card that launched with a troubling problem: It draws an excessive amount of power through your motherboard’s PCI-E slot, as discovered in extensive testing by PC Perspective and Tom’s Hardware. It shouldn’t be a problem for most PCs, but systems with cheap or dirty motherboards could theoretically be damaged by the highly over-spec power draw, especially when overclocking. To AMD’s credit, the company immediately owned up to the problem (while downplaying its severity) and threw engineers at developing a fix over the long holiday weekend. AMD just released Radeon Software Crimson Edition 16.7.1, which includes the promised fix for the Radeon RX 480’s power consumption. If you picked up a reference edition of the card, you’ll want to download it immediately. 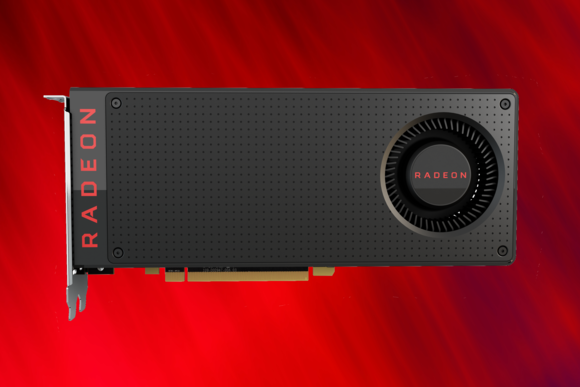 Radeon Crimson 16.7.1 implements a change to how the Radeon RX 480 draws its power, shifting things around so it consumes extra juice via the 6-pin power connection rather than the PCI-E slot in your motherboard. That actually means the 6-pin power connection will be drawing more power than it’s technically supposed to, but the connector’s built in such a way that it shouldn’t be a problem, especially since it’s drawing the extra energy directly from your power supply rather than through your motherboard, a.k.a. the sensitive backbone of your entire PC. If that worries you, AMD’s also added a Compatibility toggle in Global Settings for Radeon Crimson, which presumably brings power levels down to the official spec for both the motherboard and the 6-pin connector. It’s off by default, but meant to create “minimal performance impact,” according to AMD—and that impact’s (somewhat) balanced out by driver tweaks that improve performance in a swathe of top games by an additional 3 percent. Radeon Crimson 16.7.1 also fixes the micro-stuttering issues the Radeon RX 480 suffered from in Grand Theft Auto V. Huzzah! We’re downloading the driver now and plan to run tests in both the default configuration and with Compatibility mode enabled to gauge what, if any, performance impact the power shifting has on the RX 480. Stay tuned—we’ll get the results to you as soon as possible.